Randy's Pizza Salute is offering an extended delivery service! In partnership with Door Dash we are pleased to announce full delivery service in up to a 15 mile radius from our store in Oakdale. 0-3 mile radius from the store. 3-5 mile radius from the store. Delivery service provided through Door Dash. 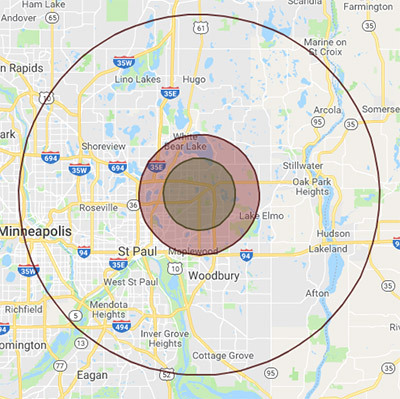 5 to 15+ mile radius from the store.